Replenish skin with SkinMedica Ultra Sheer Moisturizer. When your skin is oily, the last thing you want to do is apply a thick moisturizer. 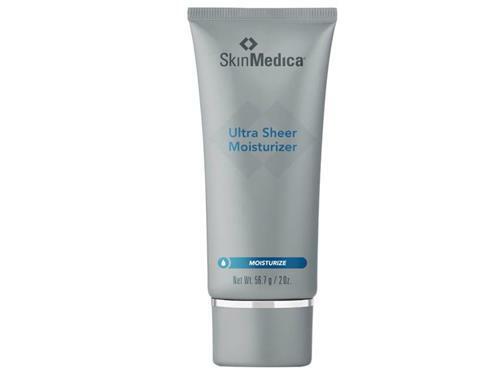 SkinMedica Ultra Sheer Moisturizer is a lightweight hydrating lotion that is ideal for normal, oily or combination skin types that want refreshing hydration without a heavy finish. The formula absorbs quickly and keeps the complexion hydrated and soft throughout the day. The oil-free formula does not clog pores or aggravate conditions such as acne or breakouts. The formula also contains vitamins that nourish the complexion and defend against free radical damage. Hydrate normal to oily skin with SkinMedica Ultra Sheer Moisturizer to create a smoother, softer texture without leaving a greasy finish. Tell us your thoughts about SkinMedica Ultra Sheer Moisturizer and receive 50 rewards points!